Bacon is no doubt one of the tastiest snacks on earth. Whether it’s breakfast, lunch or dinner, a piece of bacon adds something special to the overall meal. Up until recently bacon lovers have had to limit their enjoyment of this food to its traditional form, but over the last few years bacon products have started to take over the interwebz. This is great news for fans of this delectable meat but too much variety can also be confusing. 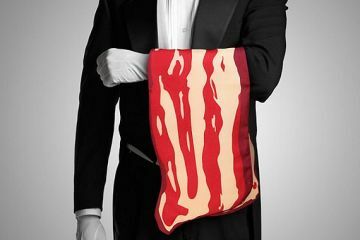 So we went ahead and compiled a list of simple everyday use bacon products that can spread its aroma in every sphere of your bacon obsessed life. One of the problems with bacon is that it has always been confined to the savory section, meaning that the taste can’t be carried around everywhere as a little sweet snack to munch on whenever you feel the need to top on your sugar intake. This has now thankfully been rectified by the introduction of Bacon Beans, which come in a rasher shaped tin, which contains a total of sixty individual bacon flavored jelly beans. They are perfect for snacking on whenever the need take you and provide a great balance between the sweet and the savory. The texture of the beans is much like that of any other jelly bean on the market, and when you bite in to them you get the crunchy outer shell followed by a soft and slightly chewy center. They may not taste as good as the real thing, but they certainly do come close. 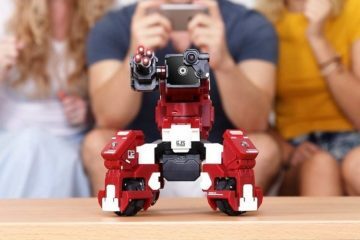 Their popularity is such that they can now be purchased through many different online stores, and can even be found on the shelves of some regular shops. They would make an excellent stocking filler at Christmas – just don’t expect them to last for very long! After eating a whole pack of bacon flavored beans in record time, you will need something to wash away the sugar from your teeth. Unfortunately this will usually mean taking away the bacon taste from your mouth and replacing it with the overpowering taste of mint instead. There is now a product though that can provide bacon lovers with the ultimate taste sensation when they wake up and when they go to bed – bacon flavored tooth paste! This toothpaste is proven to be just as effective as the regular brands as well, meaning that getting this fantastic flavor doesn’t have to mean poor dental hygiene as well. Each pack comes with 2.5 oz of toothpaste contained, which is the same as a regular tube that can be bought from the store. This should last you for at least a couple of weeks, and when you are finished it’s guaranteed that you will buy some more immediately! 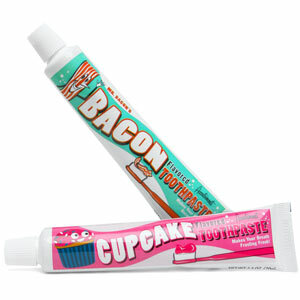 To compliment this great oral hygiene invention, it is also possible for you to purchase bacon flavored dental floss, which means that the whole teeth-cleaning routine can have a bacon theme to it. Surely there can’t be a better way keep your teeth clean on the market today? Indulge me for a second. The world is on the brink of disaster and you are sheltering under your kitchen table, waiting for the worst to happen. More worryingly though is the fact that you are hungry, and know that all of the food in the house has gone off – after all, you have been hiding for a few months now. Suddenly you remember that you bought a tin of Tactical Bacon about ten years ago! As this product has a ten year shelf life, you know that it will still be okay to eat, so pop open the lid and satisfy your hunger with the sweet taste of bacon. 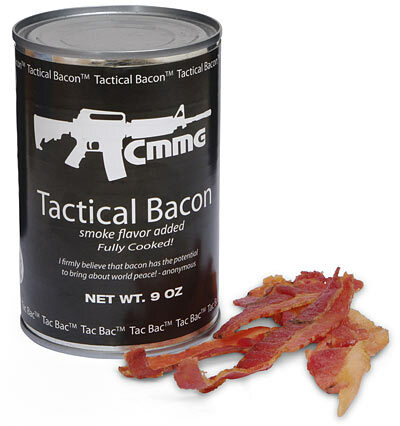 Tactical bacon is essentially dried bacon that is supplied in a 9 oz tin, which can hold enough bacon for 18 servings – or less if you really love the taste. As it is canned, this preserves it in a way that regular bacon can’t be, meaning that its shelf life is enormous. Apart from the aforementioned world disaster, there are many other times when this great product can come in handy. It’s great for those that like hiking or mountain climbing, while it is also great to just have in the kitchen cupboard as a quick and convenient late night snack. The price of this can is often rather on the steep side. It must be asked though – what price can be put on having bacon in the house at all times? One problem with going to the movies is that the only popcorn you can buy is either sweet or salted. There aren’t any interesting flavors to capture your attention. This has all changed now though, as the invention of Bacon Pop has revolutionized the way that bacon lovers view this seminal cinema snack. 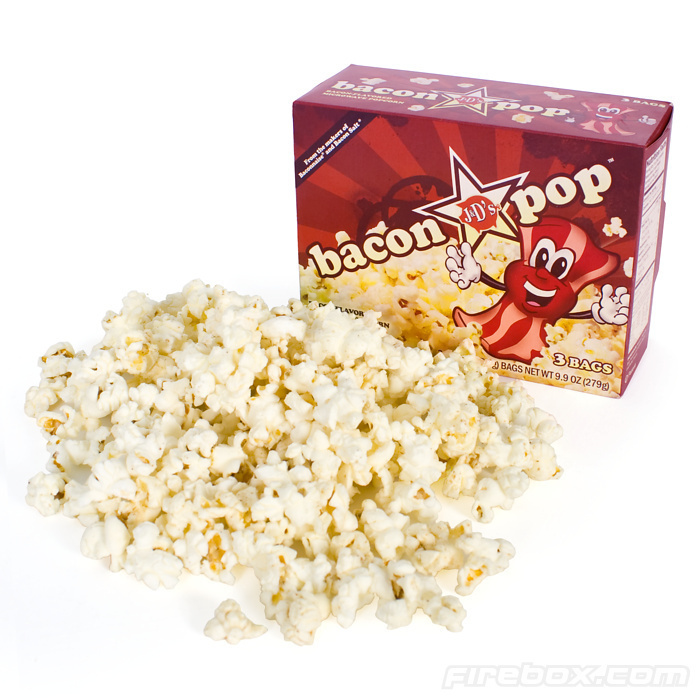 Bacon Pop is also great for when you are chilling out at home, perhaps watching a new movie that you have bought or rented. It comes in a cardboard container, which can just be placed in to the microwave and heated up, until you hear that satisfying popping sound coming from the packet. The taste of Bacon Pop combines the classic butter popcorn taste with the further addition of bacon, which both complement each other perfectly. Every bag will manage to make 3 cups of this tasty treat, as well as being suitable for vegetarians, vegans and those that require kosher or parve food. 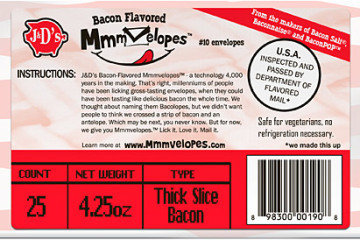 As well as the regular Bacon Pop flavor, it is also now possible to buy one that has a cheddar cheese flavor added. This means that one of the food world’s best combinations can now be enjoyed after just a minute in the microwave. There will surely be other flavors released in the near future too if the current popularity for this snack keeps going at the rate it is. After a few too many drinks, most people start to craze the satisfying taste of something greasy – which often means a good bacon sandwich. 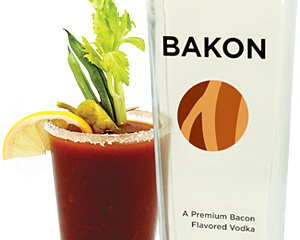 But now it’s possible to satisfy that craving a drink your vodka at the same time, thanks to bacon flavored vodka! 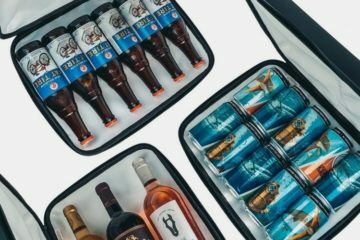 The most popular brand in this niche are called Bakon Vodka, and they have a website that is packed full of ideas for how to use their product in a number of different cocktails. In fact, they have coined a phrase for them – “carnivorous cocktails”, which can include variations of the Bloody Mary. Just think how well bacon and tomatoes go together, and now imagine drinking this flavor in the comfort of your favorite bar – sounds like a perfect scenario. The vodka itself is only distilled from the best ingredients, which ensures that there is no sharp taste when sipping on it. Potatoes from Idaho are used in a process different to the regular technique, which apparently ensures that the vodka isn’t “bruised” during the process. It is this factor that the makers claim gives this drink its crisp and clean taste. 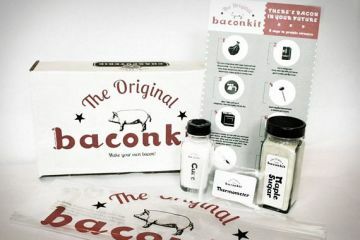 There is no doubting that the star of the show is the bacon though, and this product would be a perfect Father’s Day gift for any man that likes an occasional drink, suitably followed by a greasy meal. More recipes and info at BakonVodka. There’s nothing that smells better than that aroma of bacon frying in a pan, while you sit at the kitchen table waiting in anticipation for it to be ready. It is in fact probably when of the most satisfying smells that the human nose can be privy to. Due to this, there is now the opportunity to carry this smell everywhere you go, directly on your skin. 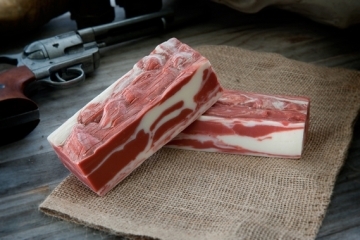 Bacon Soap can be bought from many different online outlets and is proving to be one of the surprise hits of the year so far – in fact, it’s so popular that many retailors just can’t meet the demand. The soap comes packaged in an attractive 1940s style tin, which protects it from harm before being used – as well as makes others in the household think twice about using it. The packaging that it comes in makes the gift perfect as a small Christmas present for a bacon lover, and the tin can be reused for a whole host of other things. The bar of soap itself is of standard size, which means it can be used for many weeks or even months. This gives plenty of time for the owner to decide when they are running low and for them to then run out and buy some more. It must be noted that although you might be sorely tempted to, this certainly can’t be eaten with your eggs in the morning – unless you are looking to be bacony fresh inside and out! 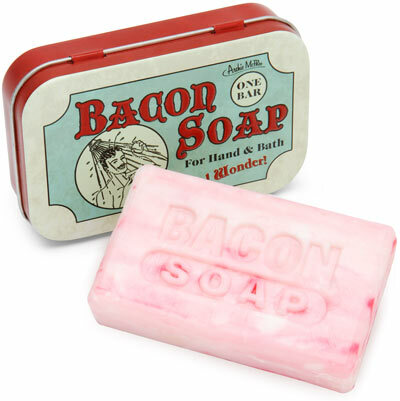 For those that love the smell of America’s favorite meat but don’t fancy the idea of using it as soap, then a bacon air freshener is the perfect idea. It’s the perfect way to get any room or car smelling like a lazy Sunday morning, and – as an added bonus – is cheap to buy as well. 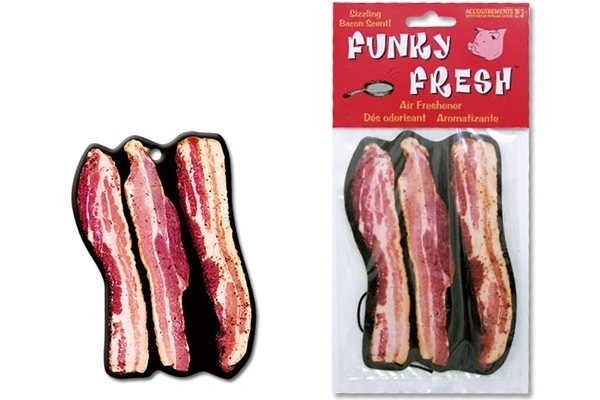 The air fresheners come in a vacuum sealed bag so that the aroma does not escape prior to being used – after all, a bacon lover will want to get the full hit of this product. Be warned though, once you do open it, you may develop a sudden craving for a bacon sandwich or some juicy bacon slapped inside a burger. The product itself is shaped like three rashers of bacon side by side – a tasty thought for everyone when they are feeling pangs of hunger. 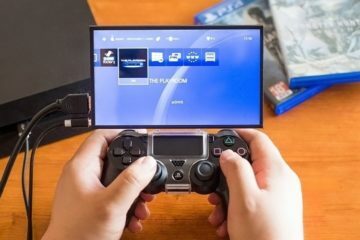 It has a hole at the top as well, so that it can be hung from a convenient point, such as a cupboard door or a car’s mirror. The smell will last for many weeks before it needs replacing, which when you consider how little one costs is a fantastic deal. You must be aware that you will be buying one every time the last runs out though, as you will become addicted to having this smell around your car and home. There are also plug in air fresheners that can be bought that give off the same smell, spraying out their tasty odor at set intervals throughout the day. With this amount of choice, there really is no excuse for a fan of this meat not to surround themselves with it throughout the day – just don’t try eating them though! Available at Neatoshop. 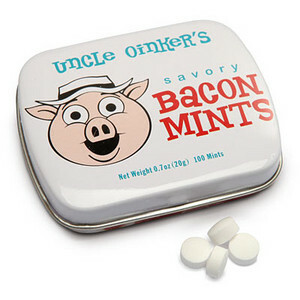 Bacon Mints may sound like a strange idea, as mints are supposed to taste like mint aren’t they? Well, not when bacon is concerned as this perfect flavor has the right to be present in any food that it wants. Many of you may be thinking that mint and bacon are a very odd combination that you really don’t wish to try. This was probably said about other combinations too, such as chili and chocolate, before the doubters were made to eat their own words after they tasted it. 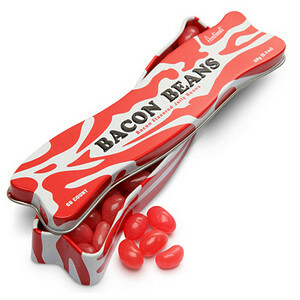 This is the same with Bacon Mints – an unusual but very tasty match for each other. The mints themselves come in an attractive silver tin, emblazoned with the smiling face of a pig on the front. The tin can be reused whenever the owner wants, as it is the perfect size for storing anything from fishing bait to sewing kit. Many people even just keep it on display, due to the huge amount of humor it elicits among guests to the house. The amount of mints contained in the tin averages out to about 100, so the owner can be sure that they won’t have to stock up any time soon. Just remember that these mints really aren’t suitable when needing to freshen up your breath before a big meeting or a date (not that you are going on one anytime soon). Bacon Salt – For the health conscious bacon lover! Bacon Salt is one of the biggest culinary sensations to hit the market in recent years, as it allows the owner to get all the flavor of a rasher of bacon but without the fat and calories that usually come with it. It comes in a variety of flavors, which means that there will be something for absolutely everyone. The four flavors of bacon salt that are currently available are Original, Hickory, Peppered and Natural each of which will offer a new twist to many traditional meals. It can even simply be placed on fries to give them a new and interesting taste. 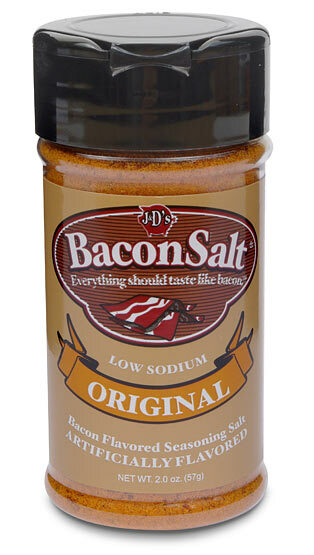 Bacon salt can also be used while cooking, for example when frying a juicy steak or roasting a fat chicken. Just place the bacon salt over the piece of food and it will meld with the meal meaning that the whole thing comes out tasting of a bacon inspired flavor. It will also make the kitchen smell like bacon for many days to come – which certainly isn’t a bad thing. Other foods that Bacon Salt can be used on include burgers, hotdogs, corn and even on food like pizza and other more diverse meals. As there are four different flavors, it is up to you to decide which one goes best with what food – it’s a tough job but someone has to do it! 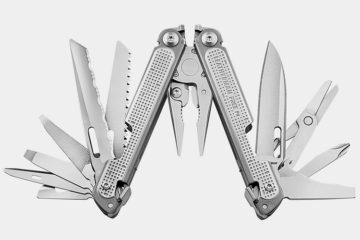 The popularity of this product has meant that it available on a variety of different websites, as well as on the shelves of many regular stores. It is made by J & D’s, who are the world’s premiere bacon products company, so you can know that this product will taste as good as it sounds. 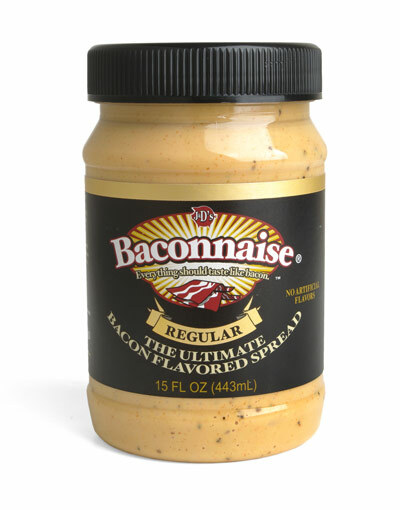 Baconnaise – For the vegetarian bacon lover! Bacon was put on this earth to delight the taste buds of every man, woman and child. Whether it is grilled or fried, eaten alone or in a sandwich, or even as part of a burger, it is always guaranteed to put a smile on the face and create a full stomach. Now there is the chance to sample this delectable food in the form of a sauce, thanks to the release of Baconnaise. Baconnaise is a delicious creation that combines the tastiness of bacon with mayonnaise, to create a sauce that is perfect with nearly everything. It can be used to dip fries in, as a sauce in a sandwich or as the perfect topping for every kind of meat imaginable. One thing is for sure – however it is used, it will add a huge amount to any meal. Those who really love the taste could even eat it on its own with just a spoon! 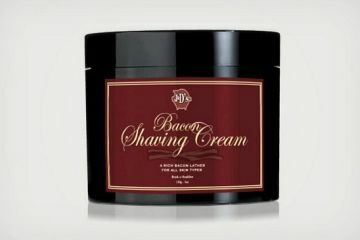 You can get it in a 443ml glass jar, which means that it will last even the biggest bacon lover a long time. With one spoonful on every meal, it wouldn’t run out for at least a month, although with its gorgeous taste most people will eat it in larger quantities than this. For those that are watching their figure, it even comes in a “lite” version, which contains a lot less fat than the regular version – meaning people can diet and eat well at the same time. One last amazing fact about Baconnaise is that it is vegetarian. Through a complicated process the people that produce it have managed to replicate the exact taste of everyone’s favorite food using solely vegetarian products. This means that vegetarians who miss bacon can finally get their fill of the food. In conclusion, this really is a great product for anyone that can’t get enough bacon in their diet. Whether it is bought regularly as a table sauce, or as a novelty gift for birthdays or Christmas, everyone’s eyes will light up when they see it added to any meal. 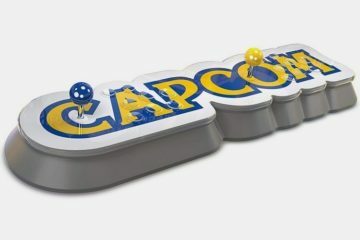 Most of these products are available here at Thinkgeek. I think I gained weight just looking at that list! The salt sounds really interesting, anybody ever tried it? Is it more like red robin seasoning? I have only tried the original flavor bit its definitely more than just salt and spices specially if you use it as seasoning on salad. It does give out bacon aroma.